This user has been on UESPWiki for 5 years, 4 months, and 4 days. Surprise! This user is female. This user is a college professor. 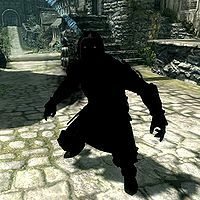 This user loves to snoop using Skyrim Creation Kit. This user is older than you think. This page was last modified on 15 September 2014, at 17:01.